We happily work with facility managers, space planners and building managers to fulfill all your signage needs. For more than four decades, The Sign Center has been creating marketing and branding programs for some of the leading national, regional, and local companies. This includes supplying signs of different shapes, colors, and sizes. Of the many services we provide, facility management signage is one of our specialties. That is why North Jersey facility managers, general contractors, and business owners come to us. From aluminum panel signs to pylon signs to monument signs to illuminated signs, our building signs are fabricated and installed with your vision in mind. This is a broad category that covers emergency evacuation routes, hazardous material signs, emergency exit signs, and any other marker that can contribute to keeping those who visit and work on your campus safe. The types of signage that are used in a facility can either help or hinder how people navigate their way around. Ambiguity, inaccurate messages, and lack of visibility are common problems for signs in buildings. 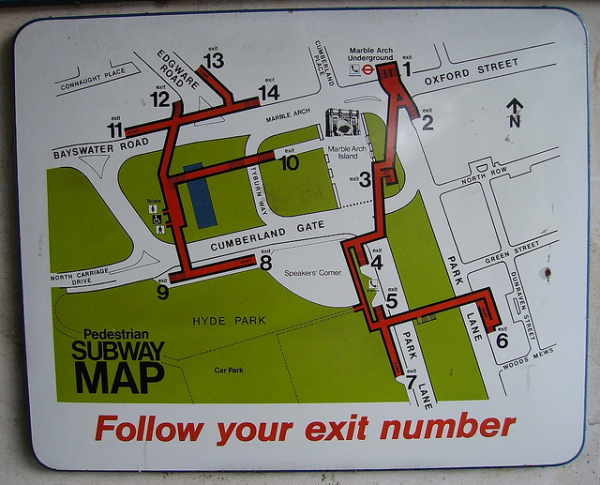 Our experts have the experience needed to avoid these pitfalls by providing directories and other wayfinding signs that avoid confusion. Also known as LOTO signs, these are an excellent way to improve the lockout/tagout awareness in your facility. Lockout signs are available for just about any kind of LOTO situations with an array of materials and sizes as well as OSHA/ANSI headers. Nothing brands your building and invites clients in better than a lobby signs, also referred to as reception area signs. 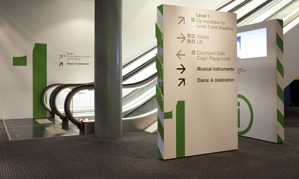 Vinyl graphics are an excellent wayfinding solutions. They also work well for branding along with transforming the décor of any room. With our cutting edge wide format digital printing, we can render any images or designs on top quality vinyl. Curb the spread of germs and diseases in your building by placing hygiene stations near your entrances. These stations hold supplies like sanitary masks, facial tissues, hand sanitizer, and more. We can help with custom logos and poster inserts. We are well-versed on the guidelines and regulations set out in the Americans with Disabilities Act (ADA), and we can make sure your facilities are in compliance. We provide signs that are high contrast, incorporate Braille, include tactile symbols, and more. The delivery time for a single sign order is the biggest problem experienced by facilities. This is often due to the color matching, material, and setup time needs being the same as for a large order. However, we keep common sign sizes in stock to reduce turnaround times. If you have a little more time and money, we can customize your markers to include your business’s logo, name, and colors. This will help distinguish your property from the surrounding area. Let us work with your management team; we can accommodate all your facility signage needs. From exterior to interior signs, we can also fabricate custom markers. The Sign Center serves all of North Jersey. We fabricate, maintain, design, and install top quality signs in Stirling, Wachung, Millington, New Providence, Plainfield, and every place in between from our headquarters in Berkeley Heights, New Jersey. 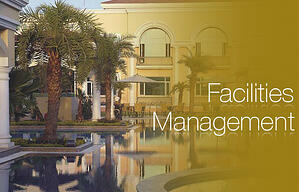 For a free quote and consultation on facility management signs for your building, contact us today.